Start the day with healthy breakfast play! 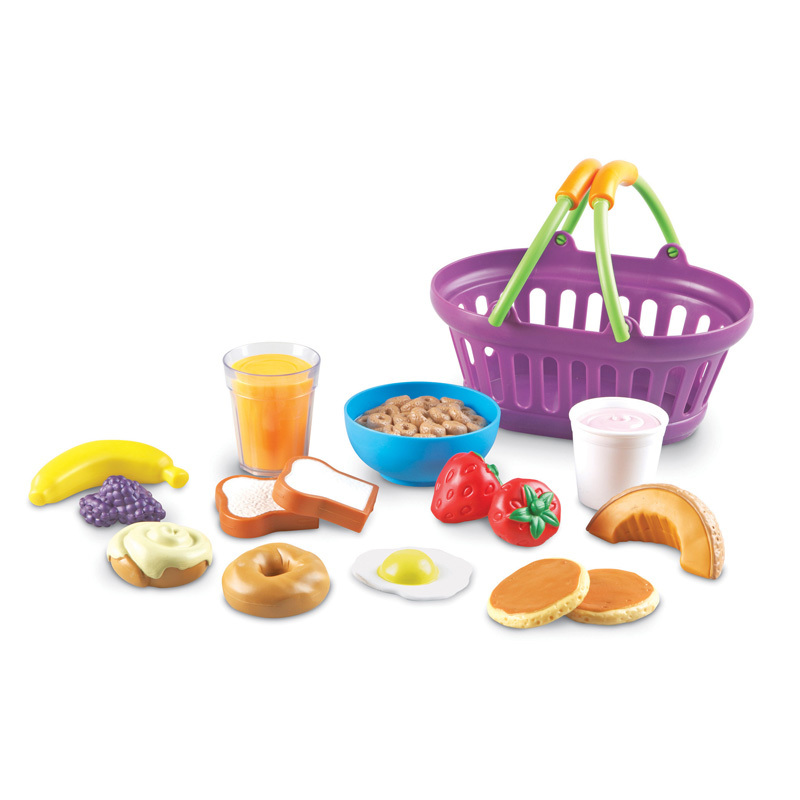 Freshly designed breakfast foods are made of soft, durable plastic, perfect for hungry little sprouts. Includes egg, glass of juice, cinnamon roll, banana, 2 strawberries, 1 purple berry cluster, mini bagel, 2 pancakes, cereal in bowl, yogurt, cantaloupe slice and 2 slices of bread.